G.D. Castillo, M.D. has been sculpting bodies into a more proportionate form in his Cosmetic Plastic Surgery practice since 1983, through liposuction or liposculpture. While maintaining a good diet and a realistic exercise routine is vital to looking good and maintaining a healthy body, there is no such thing as “spot reduction” thru diet or exercise. This fact often causes an otherwise reasonable active individual to struggle with their body image and their inability to self-correct those problem areas. Often patient’s maintain abnormally low weight in attempt to reduce their body bulges. When that doesn’t work, it is often interpreted as a failure and many find it difficult to remain dedicated to their exercise routine and healthy eating habits. Liposculpture or Liposuction is used to reduce volume and re-contour specific areas of the body by suctioning out the fat that over-collects in certain areas, disrupting the inherent, sensuous flow of the human body. Through the use of Liposculpture, Dr. Castillo is able create a feminine contour from the hips to the buttock that would boost any women’s confidence. He is able to create a smooth, naturally flowing contour of the body that restores self-pride for both our male and female our patients. After liposuction, patient’s often become re-invested in making healthy food choices and staying consistent in their exercise program because liposuction has given them the encouragement they needed to continue on a path of healthy living. After reducing the problem areas, patients can finally see that their hard work truly is paying off every time they look in the mirror. While liposuction is often used for volume reduction, the best candidates for liposuction are those who are reasonable fit but have some problem areas though it can also be used for volume reduction. Liposuction can be used to “spot reduce” nearly any area of the body. It can also be used in conjunction with other cosmetic plastic surgery procedures to enhance the results. For instance, it can be used during a facelift for a patient who carries extra weight in his or her face, or to reduce a double chin or jowls during a mini-facelift. In some cases liposuction is used in combination with an abdominoplasty or tummy tuck. It can be used to reduce arm fat during a Brachioplasty or arm lift. Imagine being a woman who feels compelled to wear long skirts or pants in the heat of summer because she is too embarrassed to expose her thighs. Imagine the frustration that comes with realizing that no matter how thin and fit you are your thighs or hips will always be larger or disproportionate to the rest of your body. Consider how frustrating it must be for a male who eats consciously and exercises but cannot decrease the bulk of his breasts or his love handles through those means. For patients like these, Liposuction or Liposculpture can make a tremendous improvement in their quality of life. Dr. Castillo is compassionate toward the struggles that individuals go through, and he is passionate about helping them reach their goals. As the Past-President of The American Society of Liposuction Surgery and the Past-President of the American Academy of Cosmetic Surgery, Dr. Castillo continues to be an influential leader in liposuction surgery. If you would like more information on Liposuction or Liposculpture, call Cosmetic Plastic Surgery Clinic in Savoy (Champaign – Urbana area) at 217-359-7508 or Cosmetic Plastic Surgery Clinic in Bloomington at 309-662-0436 to schedule your consultation with G.D. Castillo, M.D., FACS. This entry was posted on Wednesday, September 7th, 2011 at 2:01 pm	and is filed under Liposuction. You can follow any responses to this entry through the RSS 2.0 feed. You can leave a response, or trackback from your own site. You can also subscribe to Dr. Castillo’s Cosmetic Plastic Surgery Blog and you will automatically be notified each time a new post is made. Superb write-up, very helpful. I wonder why the other experts of this sector don’t notice this. You must continue your posting. I’m confident, you have a giant readers’ base now! Regards for sharing Spot Reduction by Liposuction Cosmetic Plastic Surgery :: Blog with us keep update bro love your article about Spot Reduction by Liposuction Cosmetic Plastic Surgery :: Blog . Keep up the fantastic work , I read few blog posts on this website and I conceive that your site is real interesting and has bands of great info . Thankyou for sharing Spot Reduction by Liposuction Cosmetic Plastic Surgery :: Blog with us keep update bro love your article about Spot Reduction by Liposuction Cosmetic Plastic Surgery :: Blog . Thank you for your compliment. Did you know G.D. Castillo, MD is acutally the Past-President of the American Society for Liposuction Surgery? He has been doing Liposuction surgery since 1983! We are truly blessed to have such a bright and gifted cosmeitc surgeon right here in the Champaign – Urbana and Bloomington, Illinois areas. He has restored smiles and confidnece back to many individuals in the Central Illinois area. I’m still learning from you, while I’m trying to reach my goals. I certainly love reading everything that is written on your site.Keep the stories coming. I loved it! Fantastic post. Cheers for sharing that. I was not informed of your web site, but will certainly return back much more often now. Adding you to my favorites. Thank you for the nice compliment! G.D. Castillo, M.D. FACS at Comsetic Plastic Surgery Clinic in Savoy and Bloomington Illilnois is focused on providing the education and information patients need to decide whether cosmetic surgery procedures such as Liposuction may be right for them. I enjoy brain-stimulating content material like this. I have no problem with any with the information here. I agree with a excellent deal of the points mentioned in this exceptional article. We appreciate your very kind comment! Please visit us again soon! Roena Hensler, Office/Patient Coordinator for Guillermo D. Castillo, MD, Cosmetic Plastic Surgery, Skin Restoration and Laser Institute. Thank you Melvin. 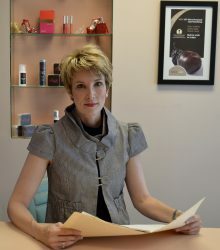 Roxanne, our Skin Care and Laser Specialist is an excellent writer! She does a very good job of maintaining our blog posts! ~ Roena, Office/Patient Coordinator.